Jose James will be at The Foundry this Sunday with Nate Smith and Corey King. Stephen Merritt, the singer-songwriter frontman of the Boston band The Magnetic Fields, has a career-long affinity for concept albums. But his latest, “50 Song Memoir,” is a particular triumph of will. As the title hints, Merritt has written a song for each year of his life, and not all of them are great. On the second of a two-night program at Union Transfer, Merritt trudges through the second half of the record—and his being—for a sit-down crowd. For the last decade, A Tribe Called Red, a trio of DJs out of Ottawa, have been blending their First Nations music with contemporary dance sounds. They—or at least music journalists—call the mashup “powwow-step,” and both inside and outside of their music the group has an impressive activist bent, crusading for the human rights of First Nations peoples, the environment, and more. Earlier this year, the Swedish guitar pop guru Jens Lekman wrote a blog post on his website warning fans of an impending change in his music. Because of his “hypochondria and anxiety,” he wrote, “I decided to not write about myself anymore, I was sick of Jens Lekman.” The resulting detour is on full display with, “Life Will See You Now,” a masterful pop record that finds Lekman at peace, looking outward for inspiration instead of dwelling in his own cramped psyche. Biz Markie is a national treasure. He might not have the name recognition of crossover rap-stars-turned-pop-icons like Ice Cube or Will Smith, but when it comes to bridging generations, nobody beats the Biz. An innovative emcee/producer in the ‘80s, Biz is now beatboxing for kids on “Yo Gabba Gabba!” when he’s not touring the country as a DJ. This weekend, Biz makes his way to Philly for his renowned Decades Collide party: a fun, nostalgic mashup of ‘80s and ‘90s music led by one of those decades’ very own stars. Sunn O))), the experimental metal outfit from Seattle, demands patience. Their music itself requires perseverance, and longtime fans also know they’ll have to wait years for a new album. But the band always delivers. The core duo of Sunn O))), Stephen O’Malley and Greg Anderson, have twisted their project into various forms: expanding the roster for an album here, collaborating with another band there. The group’s last record, 2015’s “Kannon,” sounds like a reset, in which Sunn O))) return to their origins for a heavy dose of droning metal. What does it mean to be a jazz singer in the 21st century signed to a prestige label like Blue Note? 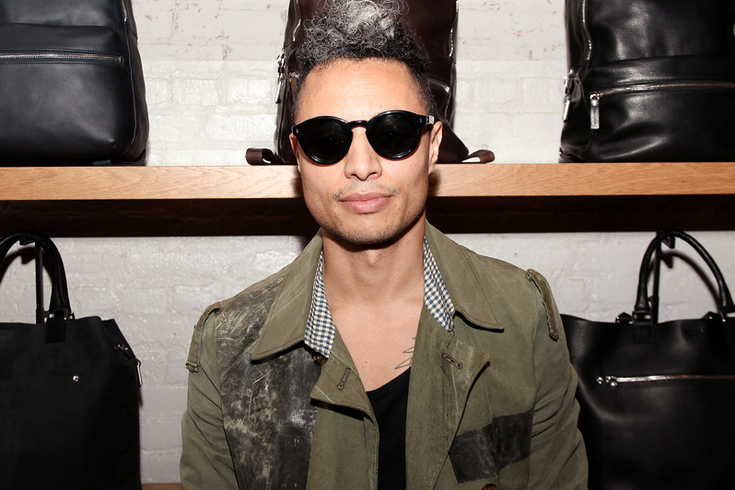 José James has figured it out: it means you can do whatever you want. Jazz has always been a music unwilling to pin itself down, and James is a masterful practitioner in the art of flexibility. At 39, the singer is just as in tune with a younger generation of music as he is with the standards. On “Love In a Time of Madness,” his just-released fourth album, he flexes that generation gap with songs that are at once poppy—imbued with soul and hip-hop production—and classic. It’s a practiced balance that few artists have struck so confidently.